Though NASA has retired its space shuttles, astronauts and cosmonauts are still launching regularly on Russian rockets to the International Space Station, and will continue to do so. Plus, China is planning another manned docking mission for 2013, and many more countries, such as South Korea, India, Canada and a coalition of European nations, will launch robotic science probes next year. 1) Suborbital Test Flights: With luck, 2013 will see a host of significant test flights for the private space companies developing manned suborbital vehicles to take paying passengers on brief joyrides to the edge of space. Virgin Galactic's SpaceShipTwo has flown numerous glide tests, but it's due to make its first powered flight using its rocket engine sometime in 2013. Another company called XCOR Aerospace plans to test fly its Lynx suborbital vehicle next year. Both firms aim to carry their first passengers in 2014. 2) South Korea's Third Launch: South Korea will try for a third time to loft its Korea Space Launch Vehicle (KSLV) 1 booster successfully to orbit. Previous launch attempts in August 2009 and June 2010, which lifted off from a site in southern South Korea, both failed. But the third time might be a charm for South Korea, which will attempt to blast off a test satellite called the Science and Technology Satellite 2C (STSAT 2C). Launch is expected sometime in January 2013. 3) Indian/French SARAL/AltiKa: This satellite, a collaboration between India and France, is intended to study the surface height of Earth's seas from space. Called ocean altimetry, the research has many applications for environmental science and oceanography. The spacecraft is due to be launched Jan. 28 by an Indian Polar Satellite Launch Vehicle (PSLV), which will also carry NEOSSat, an instrument designed to search for near-Earth asteroids that could pose a risk to our planet, and a Canadian space surveillance satellite called Sapphire. The mission will lift off from the Satish Dhawan Space Center in India. 4) First Cygnus Flights: The private space company Orbital Sciences Corp. is one of two firms with a NASA contract to deliver cargo to the International Space Station on unmanned spacecraft (the other is SpaceX). In February, Orbital Sciences plans to launch its Antares rocket on its first test flight, which will carry a model of its robotic Cygnus spacecraft. The launch will blast off from the company's complex on Wallops Island in Virginia. If the Antares test flight goes well, the first functional Cygnus spacecraft is scheduled to fly on its initial test flight to the International Space Station April 5. 5) SpaceX Dragon Flights: Space Exploration Technologies Corp. (SpaceX), the other commercial spchinaace company hired by NASA to carry supplies to the space station, launched its Dragon cargo ship maiden test flight to the orbital laboratory last May. That successful flight was followed by SpaceX's first cargo delivery mission to the station in October. The company, founded by billionaire Elon Musk, will continue to fly cargo delivery missions to the space station next year, with launches scheduled for March 1 and Sept. 30 out of the Cape Canaveral Air Force Station in Florida. These flights are vital for keeping the space station fully stocked, and also help pave the way for the manned missions SpaceX hopes to launch aboard Dragon in coming years. 6) Space Station Crew Launches: Three launches of crewmembers to the International Space Station are planned for 2013, with liftoffs from the Baikonur Cosmodrome in Kazakhstan scheduled for March 28, May 28, and Sept. 25. Each launch will carry three spaceflyers from the space station partner agencies — the United States, Russia, Canada, Japan, and Europe — aboard Russian Soyuz spacecraft. Crewmembers typically stay for five or six months each, and a rotating crew of three to six people is always onboard the orbiting laboratory. 7) Canada's Cassiope: The Canadian Space Agency's Cassiope (short for Cascade Smallsat and Ionospheric Polar Explorer) spacecraft is due to launch aboard a SpaceX Falcon 9 rocket from California's Vandenberg Air Force Basesometime in April. The satellite will carry a suite of science instruments to study how solar storms interact with charged particles inEarth's ionosphere. The vehicle will also test out new communications technology. The flight is significant not just for Canada, but for SpaceX, which has never before launched from Vandenberg. Additionally, the launch will mark the first time a Falcon 9 will use the company's new in-house made Merlin 1D engines. ESA's SWARM constellation will give scientists a 3-D view of Earth\'s magnetic field to help shield us from high-energy particles which threaten living creatures and electronics. 9) ESA's Space Swarm: The Swarm spacecraft, built by the European Space Agency, is due to launch into a polar orbit in April on a Eurockot Rockot rocket from Russia. The satellite will carry three instruments to study how Earth's geomagnetic field changes over time. The mission aims to offer insight into Earth's climate and interior composition. 10) NASA's Iris: NASA's Interface Region Imaging Spectrograph (Iris) satellite is a sun-studying mission to analyze the flow of energy through our star's atmosphere and heliosphere. Iris is due to launch aboardan Orbital Sciences Pegasus XL rocket, which takes off in midair after being lofted by a carrier plane from Vandenberg Air Force Base. The flight is scheduled for April 28 or 29. 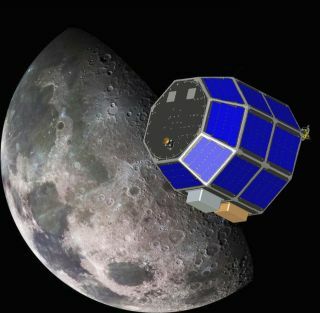 12) NASA's Ladee: The Lunar Atmosphere and Dust Experiment (Ladee) from NASA is a moon orbiter intended to study the moon's transient atmosphere and the ubiquitous particles of dust blanketing its surface that are often seen levitating due to electrostatic forces. Ladee is due to launch aboard a U.S. Air Force Minotaur 5 rocket from Wallops Island on Aug. 12. 13) NASA's Mars Maven: NASA's next Mars orbiter is due to launch sometime in a 20-day window between Nov. 18 and Dec. 7 to enable it to enter orbit around the Red Planet in September 2014. The Mars Atmosphere And Volatile EvolutioN spacecraft, or Maven for short, will study how Mars loses atmospheric gases to space. The mission will launch aboard a United Launch Alliance Atlas 5 rocket from Florida's Cape Canaveral Air Force Station.